Obama’s post-presidential life: what does his second act have in store? There’s the library. There’s the memoir. There might be a foundation. Maybe some paid speeches. Perhaps a new hobby, like oil painting. Maybe, in the case of George HW Bush, accusations of groping by eight women. The life of a former president has a few set pieces, but still plenty of room for surprise. John Quincy Adams was elected to Congress. “There is nothing more pathetic in life than a former president,” he is said to have concluded. But what about our most newly minted “former”? In his first year as an ex-president, is Barack Obama headed the way of Jimmy Carter and a career of distinguished service, or the way of the Bushes and firm retirement? Obama’s executive afterlife so far is unique because his successor is unique, say close observers of the post-presidency. Mark Updegrove, a former director of the LBJ presidential library and the author of Second Acts: Presidential Lives and Legacies After the White House, said that Obama had demonstrated admirable reserve. Justin S Vaughn, a professor of political science at Boise State University, made a similar observation. “Something that might be kind of interesting to watch is if Barack Obama’s post-presidential ambitions change as he sees his presidential legacy dissolve,” said Vaughn. “Every day it seems that President Trump manages to erase a little bit more of what Obama accomplished as president. Despite his restraint, Obama has spoken out when Trump has made a particularly painful stab at his legacy. Obama released a statement in June defending the Affordable Care Act, opposed withdrawal from the Paris climate deal and, most sharply, slammed Trump’s decision to repeal protections for childhood immigrant arrivals. But Obama has given Trump noticeably wide berth, despite the palpable appetite from fans for Obama to play a continued role in their lives. Updegrove pointed out that a new $50 coffee table book by former White House photographer Pete Souza, Obama: An Intimate Portrait, is selling so fast the publisher can’t keep up. “That shows the immediate nostalgia that we have for Barack Obama, given the dramatic contrast between him and his successor,” Updegrove said. 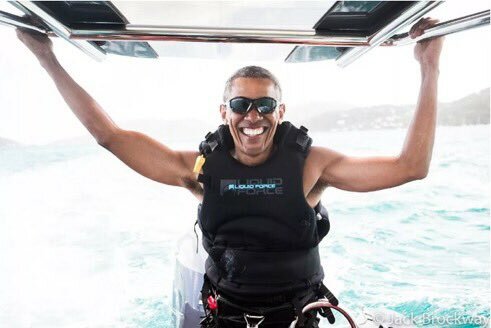 Obama’s Twitter presence suggests a new kind of post-White House life for former presidents, in which the public has access not only to the ribbon-cuttings and official statements but the kitesurfing vacations, too. Elsewhere you can see Obama wearing a Santa hat, congratulating Prince Harry and Meghan Markle, and sending a very solid Valentine’s Day tweet. He also tweeted condolences after terror attacks in London, Manchester, Barcelona, and New York; after a mass shooting in Las Vegas – its own act of terror – and after natural disasters in Puerto Rico and Texas. That latter tragedy brought all five living ex-presidents together in October for a fundraiser for hurricane victims (Lady Gaga, also pictured, is not an ex-president). Certain of Obama’s post-White House activities suggest a longer trajectory. In May, the Obama foundation announced the creation of a “presidential center” on Chicago’s South Side, to accommodate a presidential library, a museum, an educational facility and the foundation itself. It will also serve as headquarters for the My Brother’s Keeper Alliance, the organization founded by Obama in 2014 to expand opportunities for boys and young men of color; and it will serve the national democratic redistricting committee, an initiative to reverse Republican gerrymandering led by former attorney general Eric Holder. Obama has attracted controversy in the last year for one of his most public post-presidential activities: fundraising. He recently collected a total of more than $1m for just three speeches to three different Wall Street firms, according to Bloomberg News. That’s on top of the reported $65m advance he and Michelle Obama received as part of a package deal for their respective memoirs. Updegrove said Obama’s ability to raise money pointed to his post-presidential potential – he may have been the 44th US commander-in-chief, but he will always be the first African American president. “President Obama, given his enormous worldwide popularity, has an opportunity to be perhaps our most successful former president, in terms of his ability to raise money, in terms of the global reach that he has,” said Updegrove. “And we may well see that through the Obama Institute. 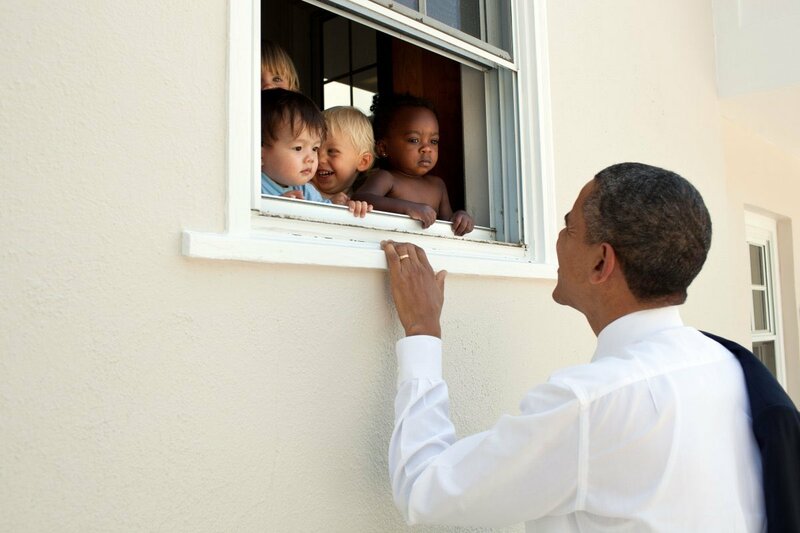 Posted in Leadership, U.S., Uncategorized and tagged obama. Bookmark the permalink.